is it possible to export this planar uv map as mesh/ polygon with maya (or any other software)? Any answer appreciated! There are several scripts out there. Most for cleaning marvelous designer meshes. We here use Mudbox todo that. Shortcut ALT+T in Mudbox and export selected. thanks for the response! 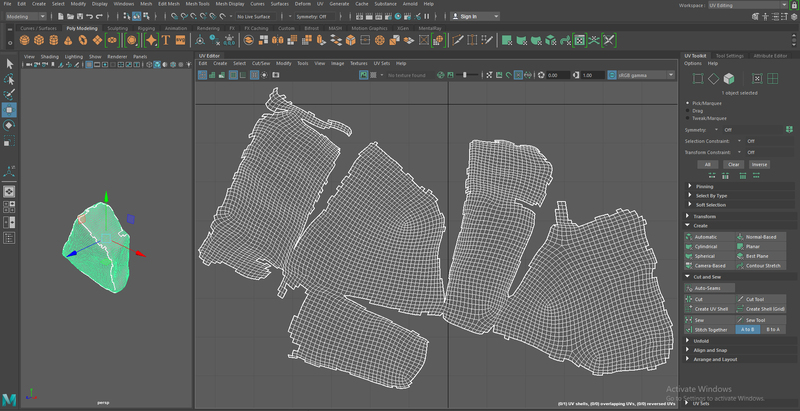 I got couture in Maya but unfortunately it seems I have to “flatten” my mesh before exporting - then the only thing that is exporting is my flatten mesh and not the UVs. Any ideas or other solutions? thanks! thanks for the responses! I managed with MODO : Texture > Convert UVs to Mesh.